Fresh off the press is the precious metal trio of Panerai Radiomir 10 Days GMT in platinum, white and rose gold, PAM495, PAM496 and PAM497 respectively. All are housed in the 45 mm Radiomir case with the P.2003 movement that has second time zone, power reserve and date functions. 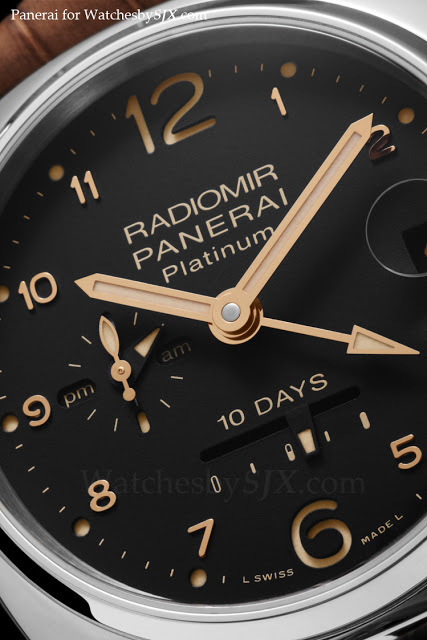 Unusually all three watches have sandwich dials, but with applied hour numerals, which is uncommon for Panerai. 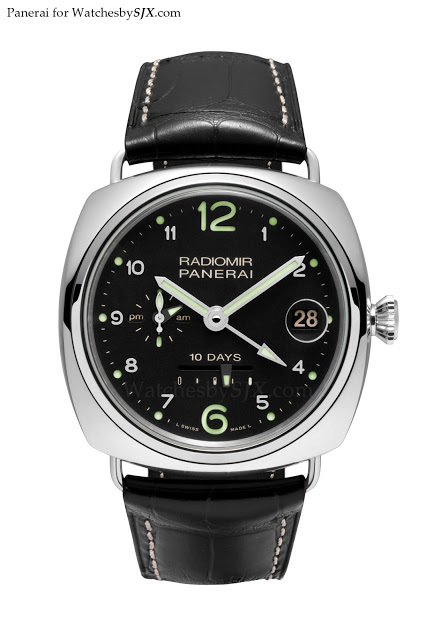 The first is the Radiomir 10 Days GMT Platino (PAM495), a platinum case limited edition of 100 pieces. It has a black dial with ecru Luminova, along with the brown “Jules Verne” nubuck alligator strap. Retail is SGD87,100, or about USD70,800. 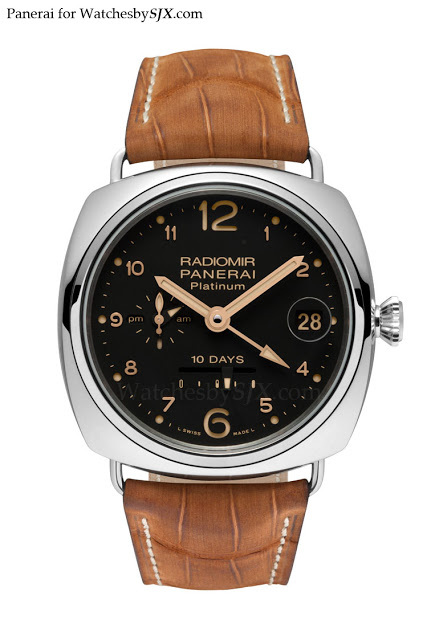 Then there is the Radiomir 10 Days GMT Oro Bianco (PAM496), which is limited to 250 pieces. Paired with the white gold case is a black dial and a black strap; this is the least vintage looking of the three. The list price is SGD58,200, which is about USD47,400. 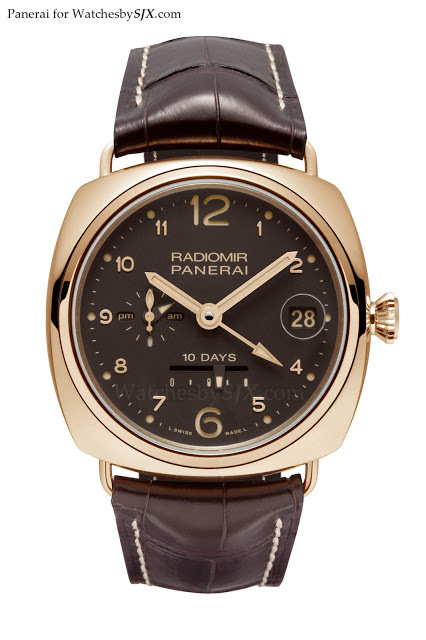 Also limited to 250 pieces is the Radiomir 10 Days GMT Oro Rosso (PAM497) in red gold. 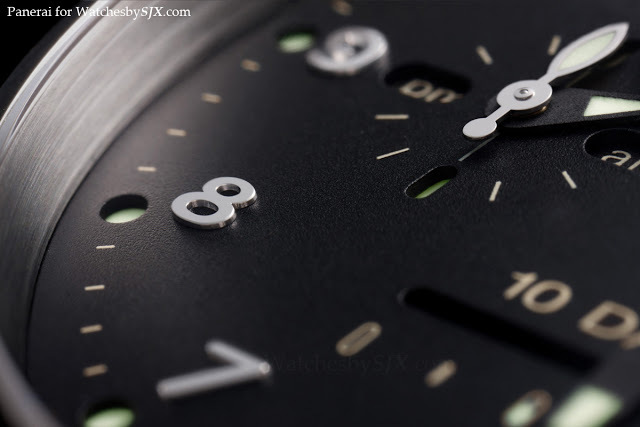 The dial is brown with ecru Luminova. The list price is SGD54,600, or approximately USD44,400.